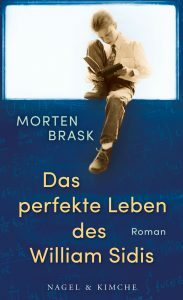 The Swiss based publisher, Nagel Und Kimsche, a part of the large German publishing house, Hanser Verlag, now published The perfect Life of William Sidis. The german tale is, of course, Das Perfekte Leben des William Sidis. The book is now out in Germany, Austria and Switzerland.